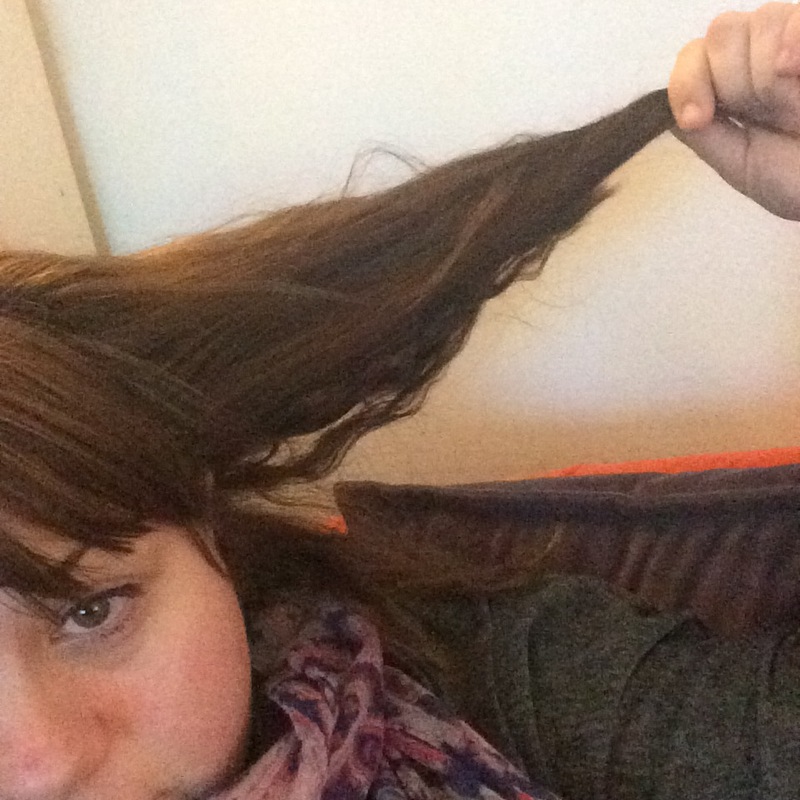 I had some interesting comments about my previous post about my ‘Lazy Mum’ hair. 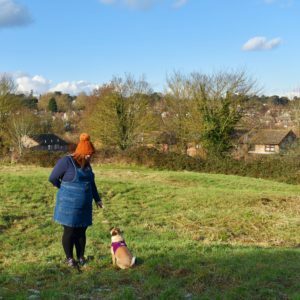 It has take my lazy clueless uncool self two years to come up with and step away from everyday Mum-bun or “mun” as it is known. I’m not knocking a mun, I just tend to look like a man in drag with my hair scraped back and my baby hair sticks out like billy-o. Hashtag hedgehog hair don’t do care. I wanted to explain further about how I’ve got this two-day hair thing down and show that anyone can do it. (Hairdressers and stylist peoples, I’m not professing to knowing anything at all, this is just what I do) ? So, I’ll take you through my work days which is Monday and Tuesday and explain how I cut corners and attempt to look half decent while also controlling my mass of hair. I used to shower every morning and spend ages on it and now I just don’t get time. And truth be told I can’t be bothered. I work on a busy reception desk and need to be presentable yet I barely have time to draw my eyebrow on, brush my hair and squeeze in(or should that be out) a quick pre-work poo. I’m not a morning person and I’m not one of those people that can get up at 5am and look immaculate. In fact immaculate is a word that can/will/should never be used to describe me. Pffffft. It is nice though to feel nice, have nice hair and it not move all day. 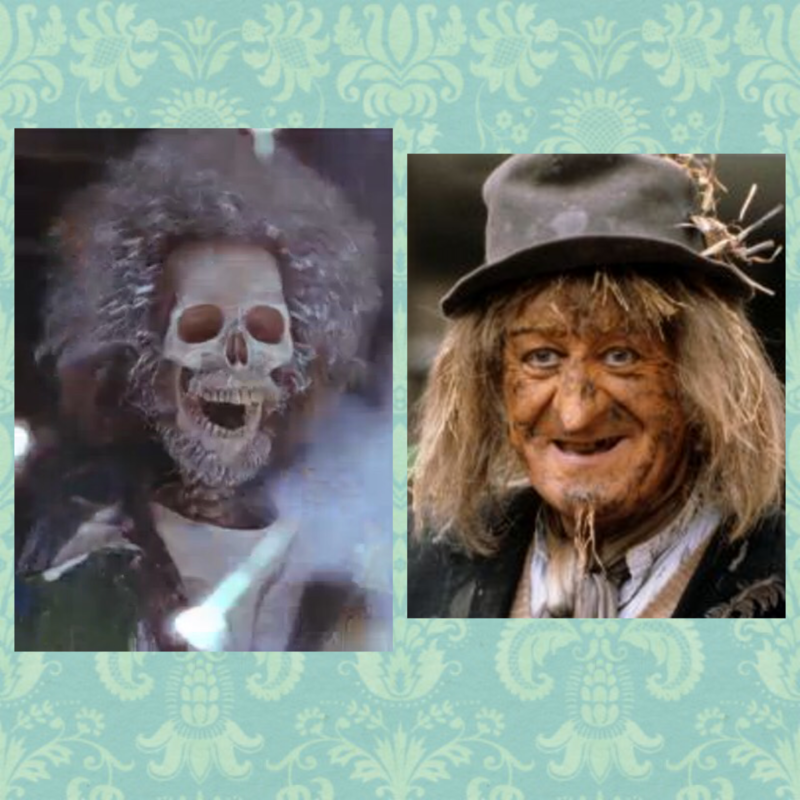 Nothing like pushing a screaming child through town on a windy day with hair like Worzel Gummidge plugged into the mains. I have a bath and wash my hair with baby shampoo, not for any reason apart from it smells nice, it’s within my reach and doesn’t seem to irritate my scalp at all. I don’t condition very often, it’s when I remember. Yes bad I know but clean and it conditioned is better than nothing. Once out of the bath I towel dry my hair, and then comb it into two parts. 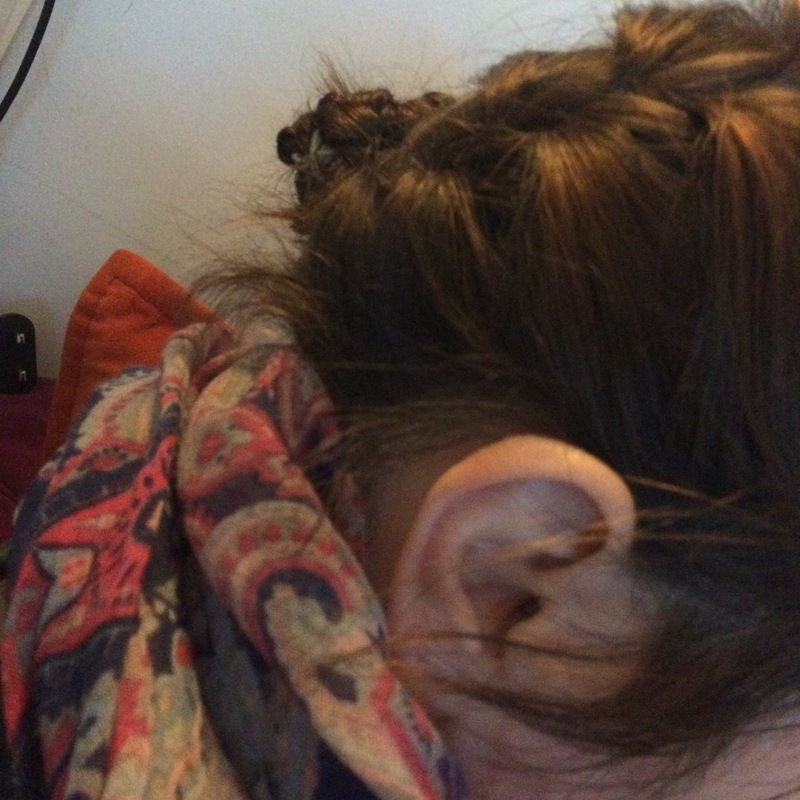 I am a side sleeper so I plait them back and down the back of my header so I don’t lay on them. 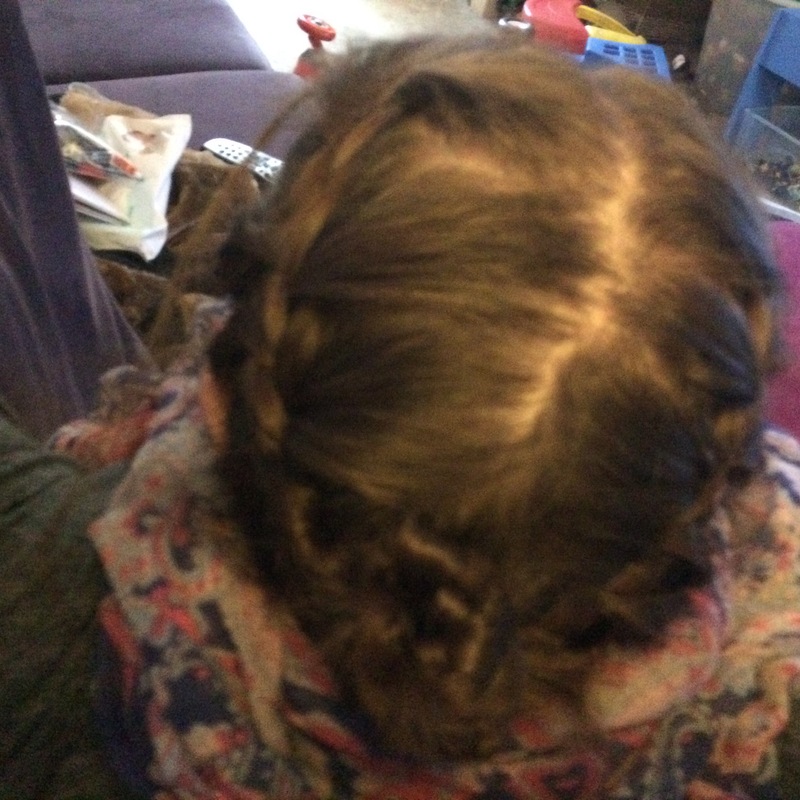 Once combed I then french braid each side and leave it like that overnight. I don’t put any products on it or blow dry it, I don’t use any heat at all. Again that’s not technique I just never get time, and I’ve not been able to find my hairdryer in forever. 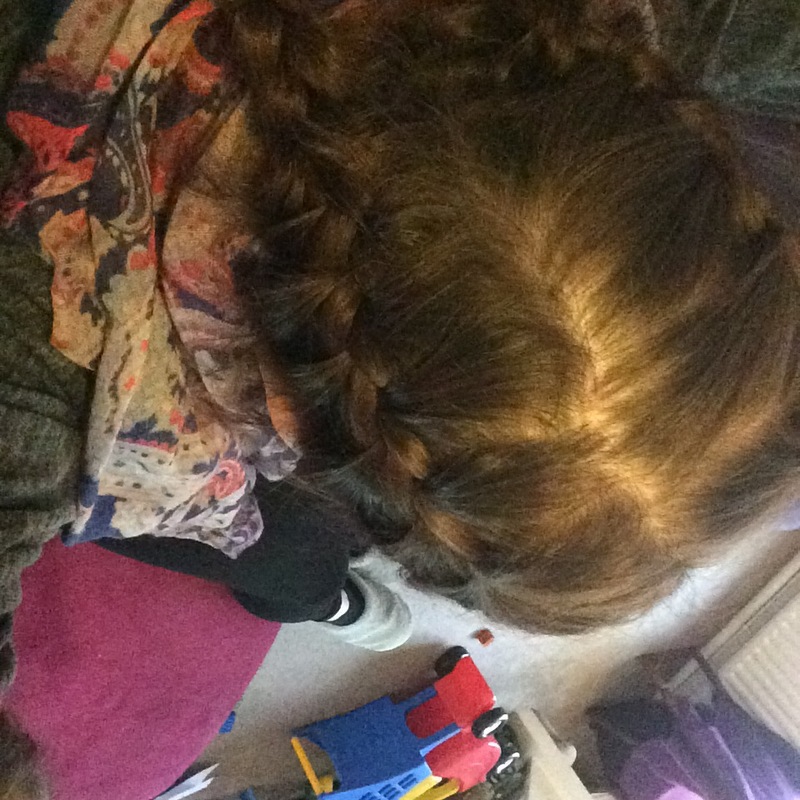 Once French plaited and tidy it’s in nice little plaits and under control. Wake up, sort the hubbo and mancub out and then have about five minutes to get ready. All I do is untie the plaits, comb through with my fingers, wet down any bits that are a little over excited and then re-plait my hair into two pigtails. Once plaited I tuck the ends under one another and pin it in place. That’s it. No spray, no product, nothing. 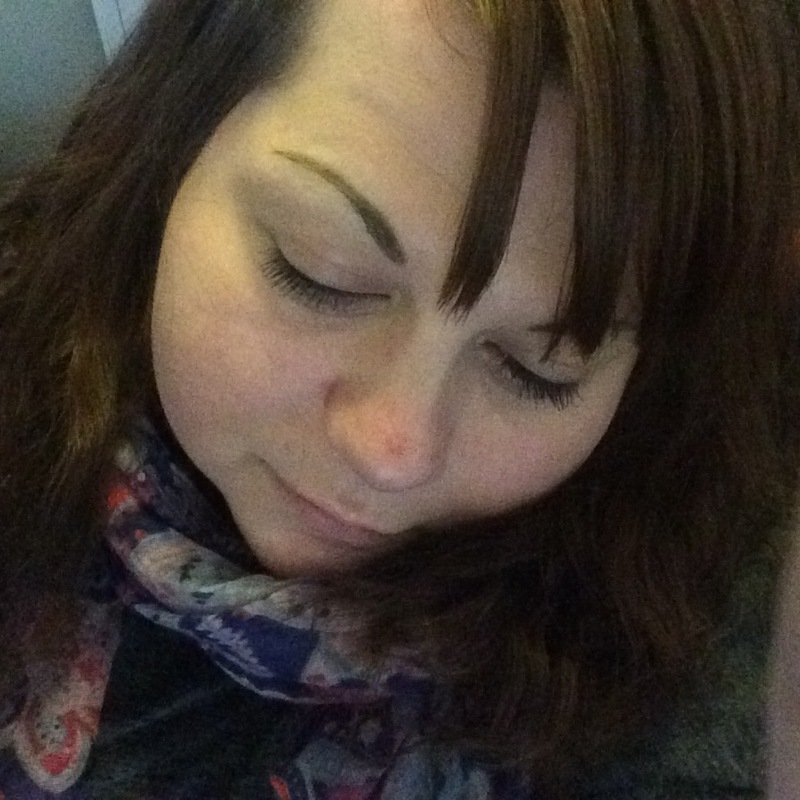 You will notice my parting is wonky… I don’t care, it kind of works to be honest. If you don’t want to pin it you can wind it into a bun, tie a pony, anything really. Sometimes a sort of chignon is nice when you twist the two pigtails into and under themselves. Take pins/bun/chignon/pony out and go to bed with pigtail braids again. Repeat same as Monday morning. Wash fringe in sink quickly if needed and leave to air dry. It’s wavy at this point so it can be worn down or tied back, depending on how you feel. It feels so smooth having been plaited that a quick ponytail that’s slightly messy can actually work quite well and can save more time. Because my hair stays in place like this it doesn’t seem to split too bad, also it’s not dry as I don’t use any heat. It also keeps greasy chip fat hair to a minimum as it’s tied securely back and doesn’t have a chance to get greasy. 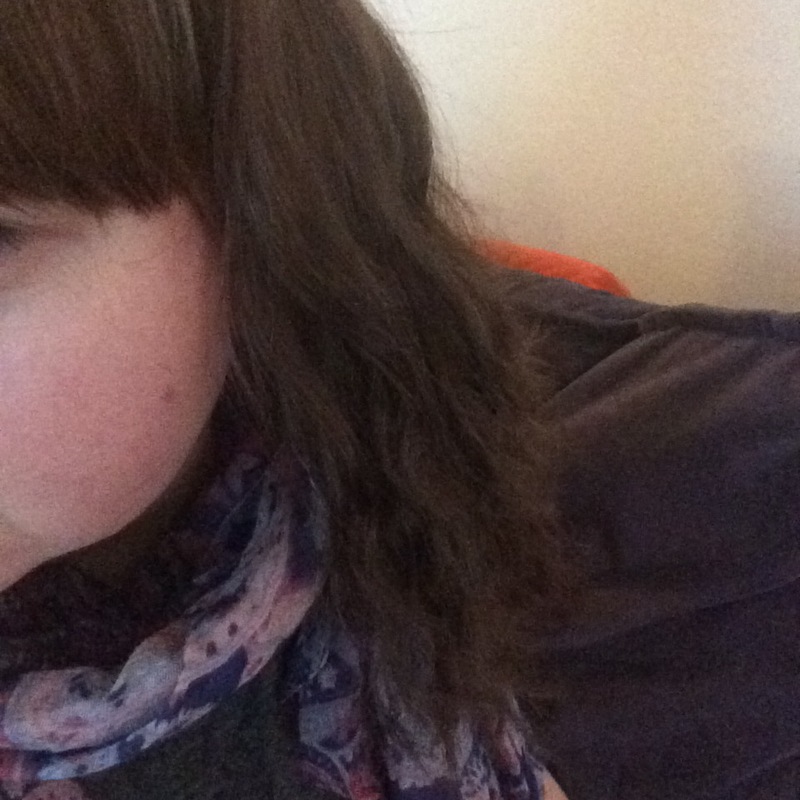 In the last six months I’ve come right away from heat styling and it’s improved the condition of my hair so much. 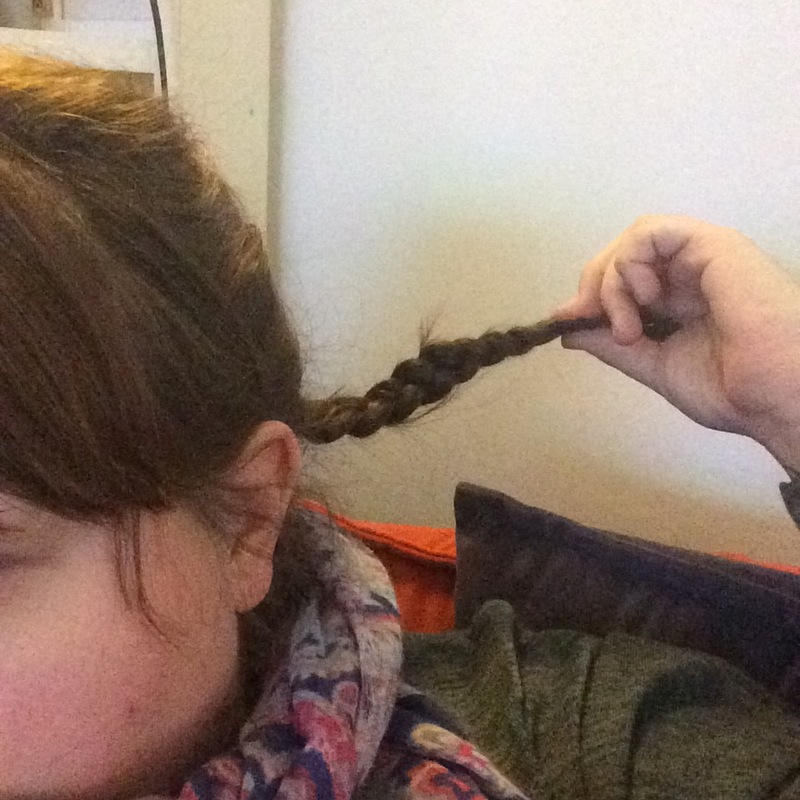 I also find this way I can just about scrape Wednesday by repeating the evening braids but that’s literally a run to the shop or something where no one will look too carefully at my slightly greebo hair. Even better if its raining or cold, rain or a woolly hat hides greasy hair. Lazy but simple. I’m always looking for new ways to do my hair, I especially love vintage 30s/40s/50s hair so watch this space for more. Unless they are epic fails, then I will just get a pixie crop and this post will be null and void.